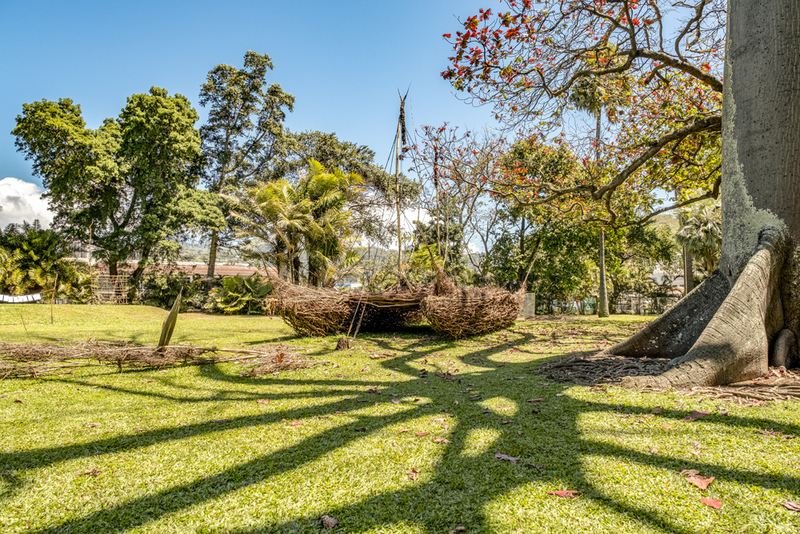 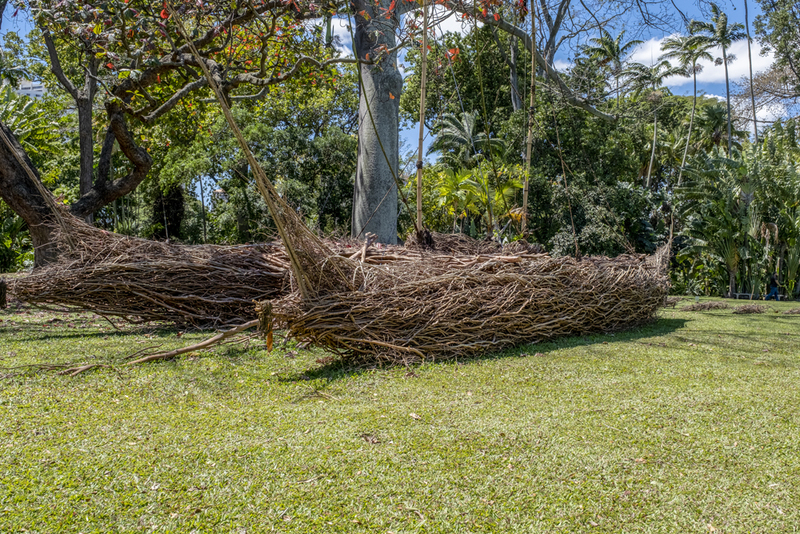 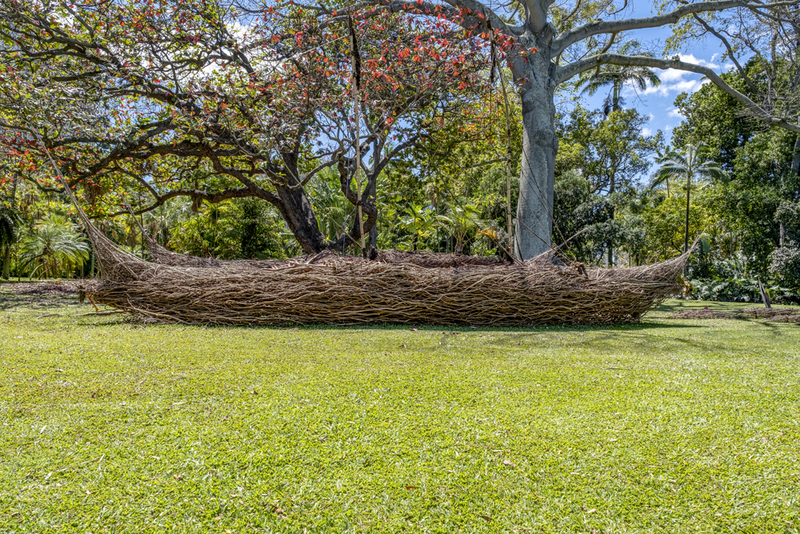 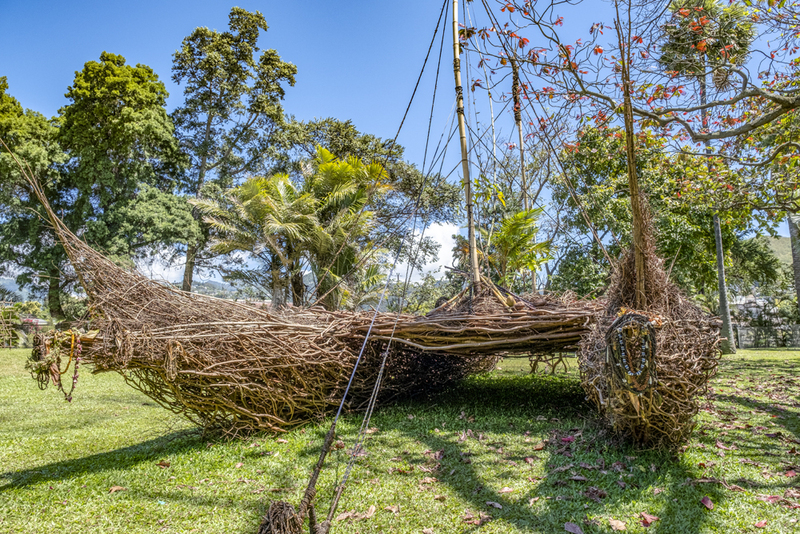 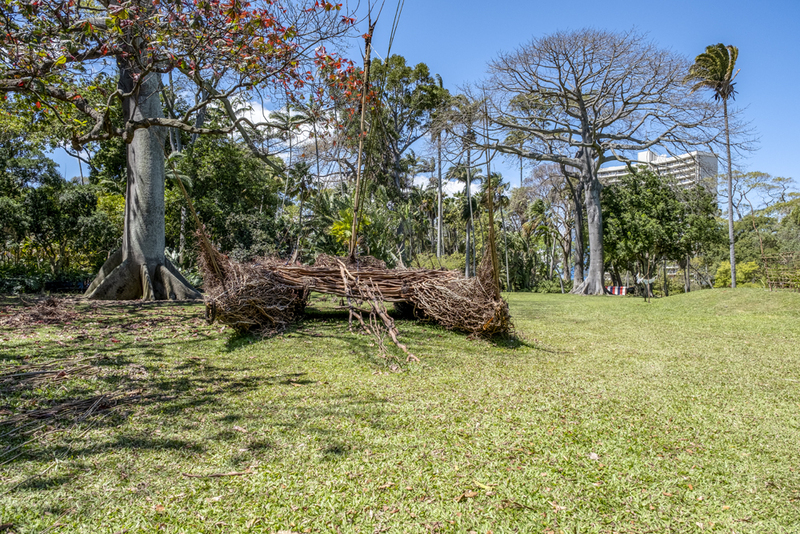 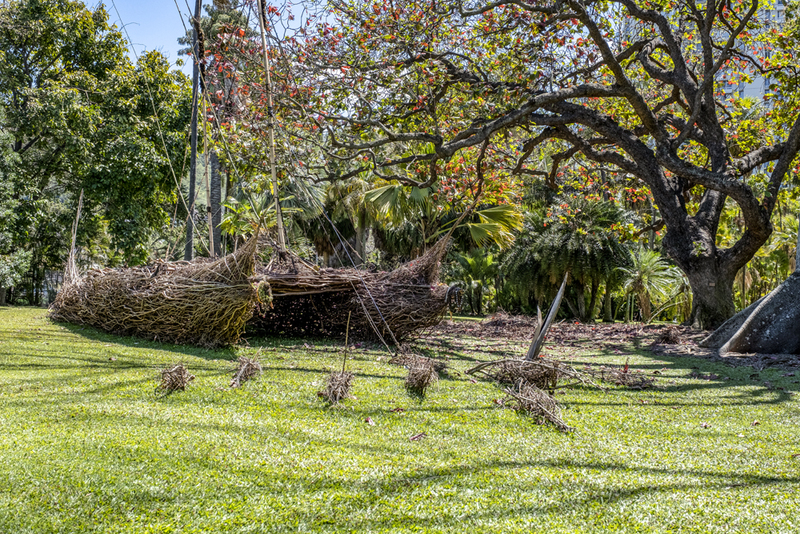 Huaka'i / A Wake was built in 2019 using invasive botanical and found materials and measures 50 x 20 x 25 ft. 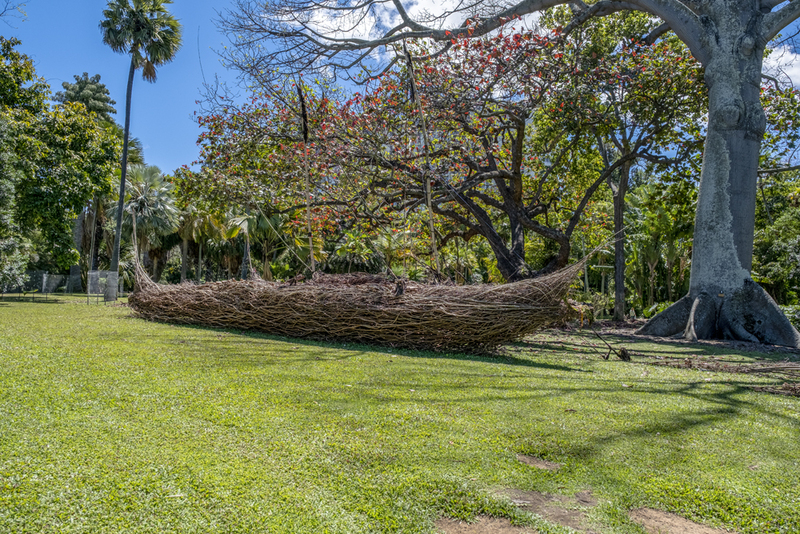 The sculpture explores the themes of sustainability, voyaging, and our reciprocal relationship with the island environment. 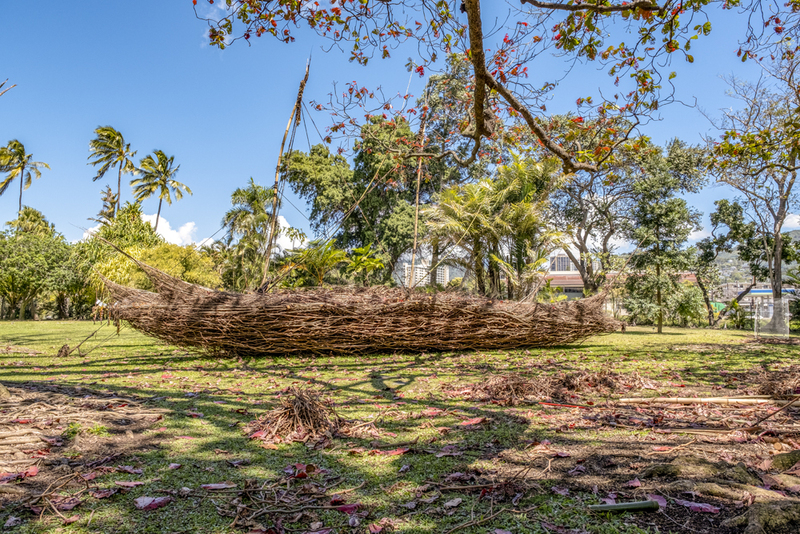 The massive double-hull canoe form is constructed with invasive plants and othe found materials, primarily collected from Ho'omaluhia Botanical Garden in Kaneohe. 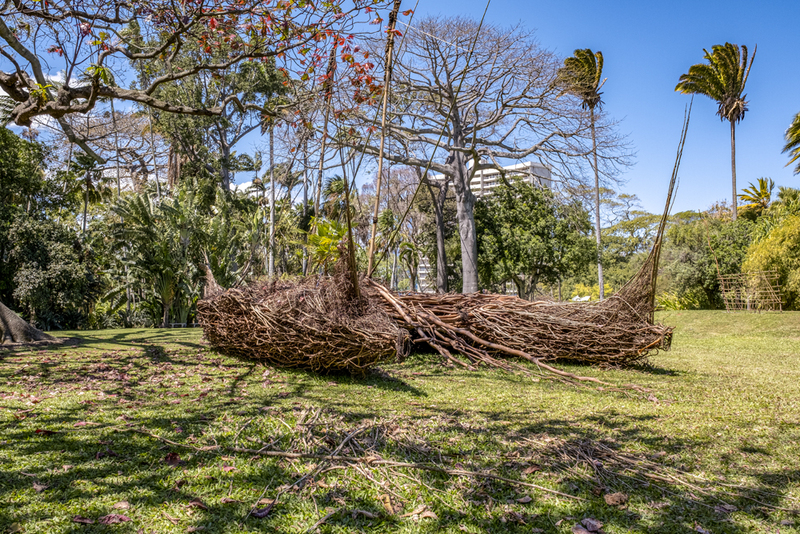 The work is a special commission for the Honolulu Biennial, 2019 for which Miyano enlisted the help of friends, volunteers, and countless members of the community. 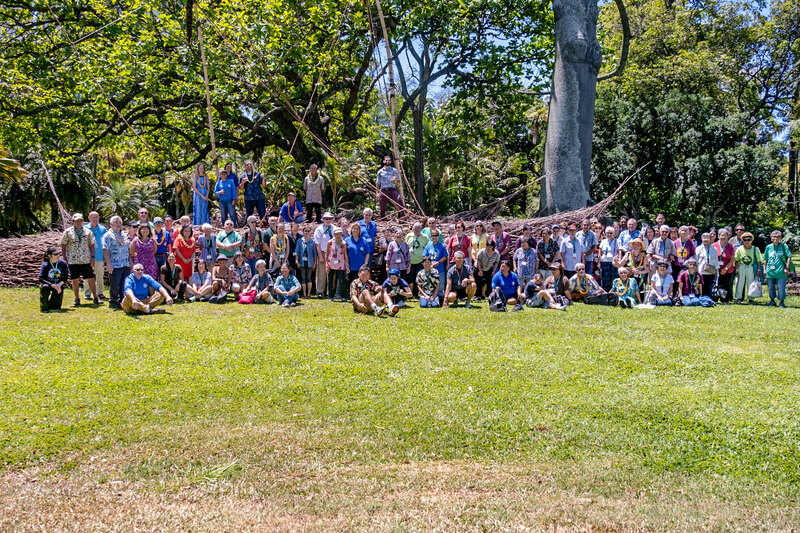 Picture below is from the Volunteer Appreciation Luncheon on April 4 to give some idea of the size of the sculpture.